Early white vocal group from New Heaven,CT formed in 1953 as THE TEARDROPS by Santo”Sandy”Ratineri,Chico Gambardella,Fred Merola and Ralph Donnarummo. 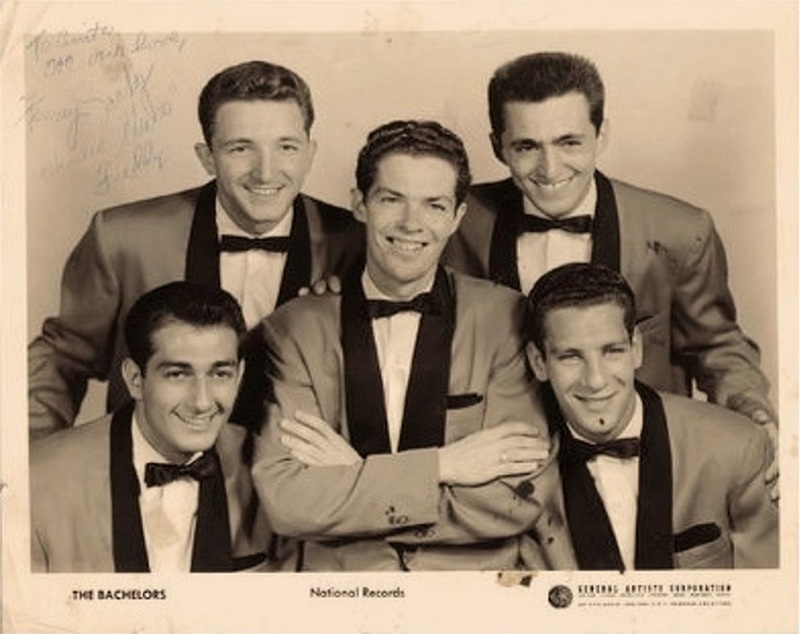 In June 1955 Kenny”Vance”Voght replaced Ralph and the name of the group was changed to Kenny Vance & The Bachelors. This same year recorded a pop single on the Winston label with the sides_Flaming Red Hair/Did Your Pen Sunshine. 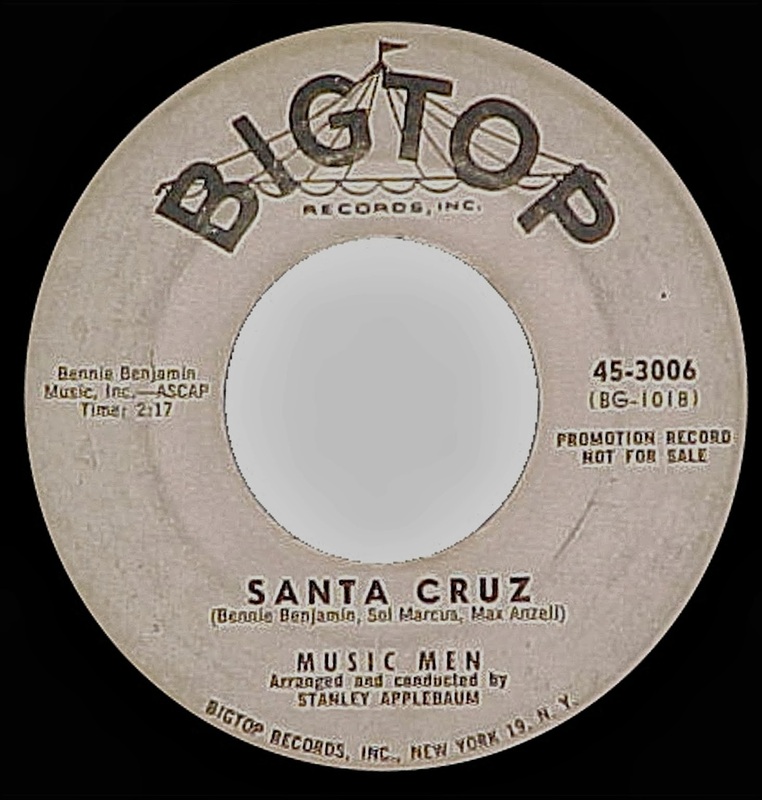 (not present in the doo wop guides). -From Your Heart/A Million Teardrops. -Today,Tomorrow,Forever/I Want A Girl(Shame Shame On You). 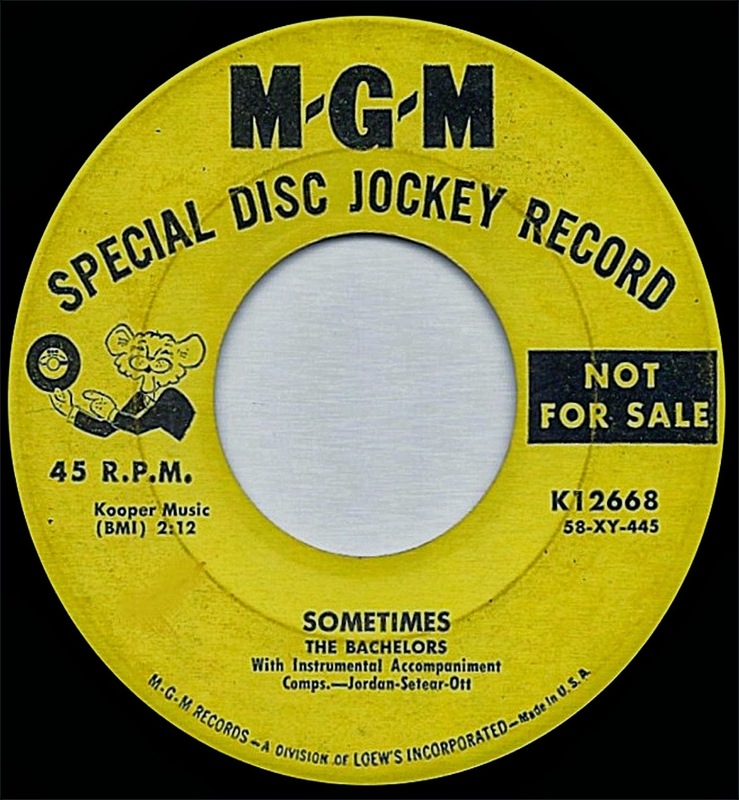 The Bachelors continue with their pop-oriented sound and their biggest hit was_From Your Heart. Which was a #1 in the New Heaven area. the group perfomed in Pittsburgh,New York as well as participe in the Arthur Godfrey Show. -Sometimes/Teenage Memories. 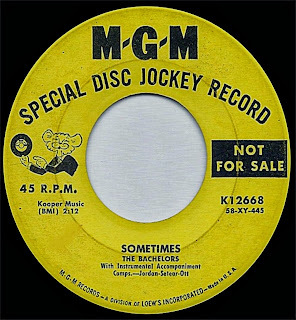 (On MGM the group recorded another single_Sincere/Moon. But the company never released these two sides). -An Open Fire/Via De Paradisio. 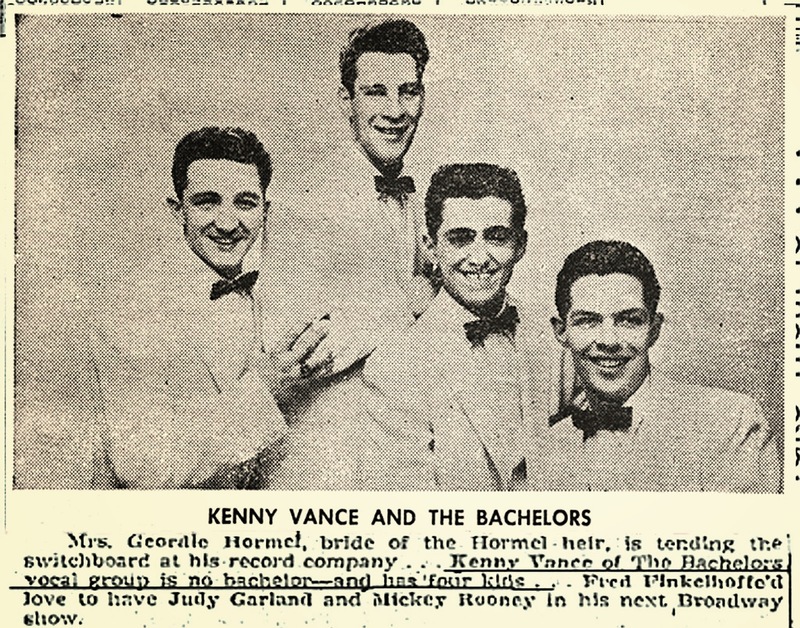 I had heard that Kenny Vance was in the group, but given the picture, none looks close to being him. 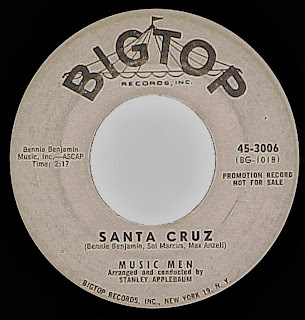 Unless there was ANOTHER Kenny Vance... Kenny was 12 years old in 1955, making him 15 in 1958. All the giys in the picture look at least a couple of years older than 15...?